Are you an avid traveler with a knack to explore the unseen corners of the world? Traveling and exploring the world around you is a beautiful feeling, with an excitement about getting familiar with the culture of the place, knowing its traditions, and meeting new friends along the journey. India is an incredible nation exhibiting myriad cultures, waiting to be explored. Having said that, one tourist destination that is has managed to attract a majority of tourists to be a part of its cultural heritage and homely warmth is none other than the mighty Rajasthan. 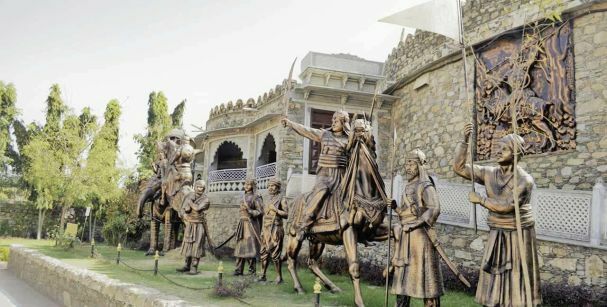 Covered in layers of historic battles and a huge cultural significance, the place has become a prominent tourist destination and a major contributor to the country’s GDP by being a magnet for the tourists. People who visit Rajasthan are not only fascinated by the people, the culture and the history of the place but are also in love with the art, the food, and the friendliness that the place exhibits. 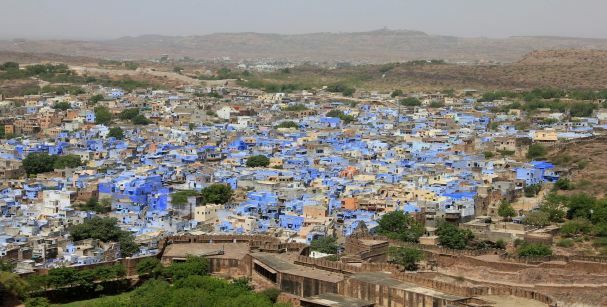 So if you’re in for a Rajasthan trip for 5 days, start backpacking and get ready for some real travel experience. Ride in a boat amid the tangy hues of the sunlit lake Pichola, and get every bit of the final rays of the sun as it makes its way home. Experience a stunning sunset as you witness the beautiful sparkling water on your feet. With an entry fee of INR 300 for adults and INR 150 for children, this place is a must visit. Enclosing an interesting history and a royal feel to it, the Sahelyon ki Bari is every photographer’s paradise. With no permission required to click photos of the picturesque gardens and the marvelous sculptures, this courtyard of maidens is a perfect spot to set foot in. With an entry fee as nominal as INR 5, you can take a good look at the garden and a few beautiful shots of the same to upload on social media! Visiting Udaipur without enjoying a ropeway ride is a terrible, terrible mistake. 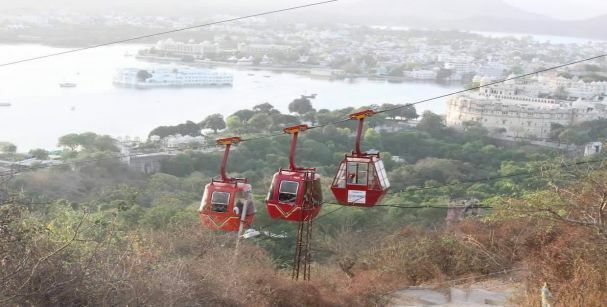 One of the most popular activities in the city, a ropeway ride offers you a classic view of the scenic beauty of Udaipur, with a thrilling ride, hundreds of feet above the ground. With comfortable timings and affordable tickets, one can easily be a part of the adventure that they’ve been seeking to experience in the city. 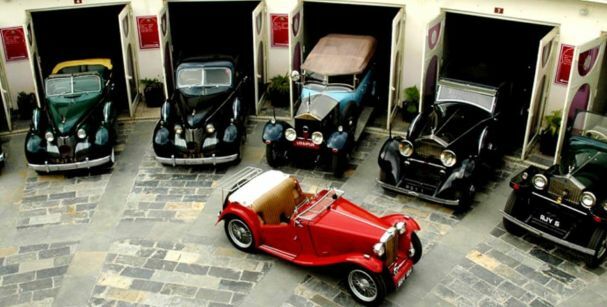 Witness a huge collection of the classic cars owned by the Maharajas about decades ago at the Vintage car collection museum. Watch the cars that once ruled the roads of Udaipur and travel back in time as you drool over those beauties. Located on the outskirts of the city, the Haldi Ghati is a reminiscence of the long-lost battle between the Mughals and the Rajputs. Visit the place and delve into its history that dates back to the 16th century to witness the cenotaph that still exists at the place. Resting on a hilltop, this fort is a major attention catcher for most tourists due to its magnificent beauty and preserved heritage. You will not only be fascinated by the King’s personal belongings at the fort museum but can also shop from a wide collection of souvenirs from the fort’s official shop. Indulge in the Rajasthani folklore with some cultural music and dance performances. 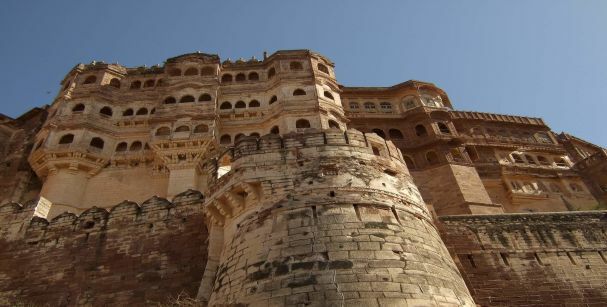 Located on the Northern stretch of Jodhpur’s Mehrangarh Fort, a zip lining experience awaits you. Enjoy the flying fox with a beautiful view of the city and the fort as a background, and engage in a thrilling experience like never before. Who said that you can’t fly when you have a hot air balloon? 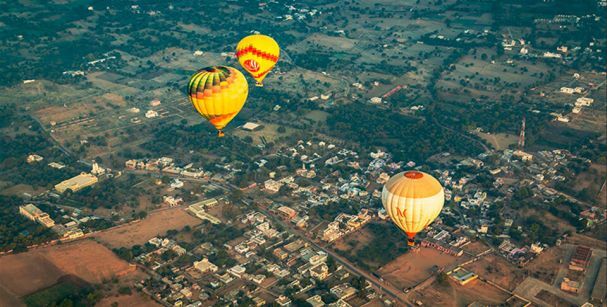 Experience a 60- minute fun ride in a hot air balloon, several hundreds of feet above the ground level, to enjoy a bird’s eye view of the city. Go with the wind in a hot air balloon, in the company of your loved ones, to enjoy a beautiful experience. These lush green gardens surround the architectural beauty of the Marwar region and are a popular picnic spot. With various temples and cenotaphs, these gardens lure every traveler to spend some quality time. 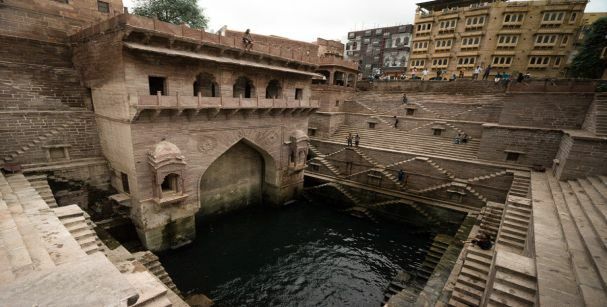 Recently restored, this step well has become a major hangout spot for a lot of tourists. With a contemporary square enclosing a variety of restaurants and coffee shops, and a home décor store, it is a traveler’s delight. Enjoy the best of Indian and continental foods served with some delicious drinks and savor the day with your loved ones, with the beautiful sight of the place as a backdrop. Stroll in the streets of the city to find it devoid of tourists, and interact with the locals to know more about their culture and heritage. You can also have a guided tour to explore more about the insides of the city. 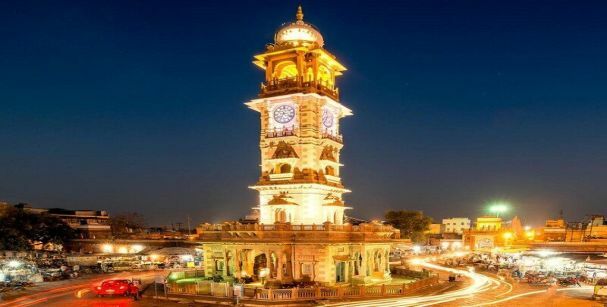 Standing tall amid the bustling city of Jodhpur, you have the famous clock tower that still functions! 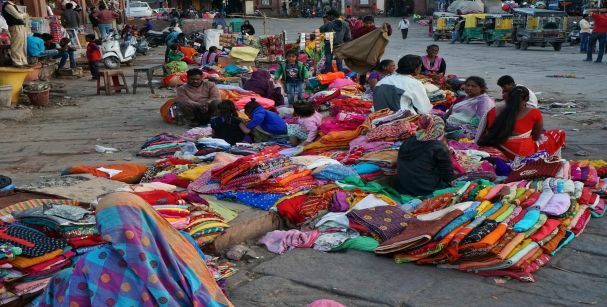 Explore the city away from forts and palace to find some colorful handicrafts, saris, and spices! Get ready for an overwhelming experience as you set foot in the old city. 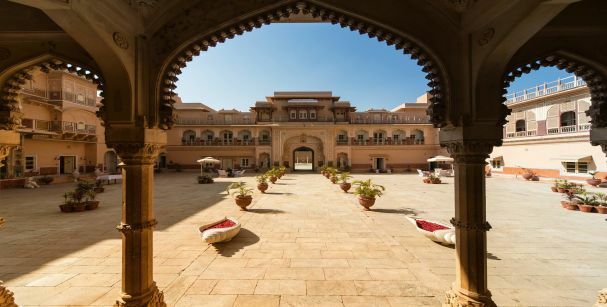 Built in the 12th century, the Jaisalmer Fort houses some of the luxurious hotels and guesthouses, for the travelers to have a royal experience. 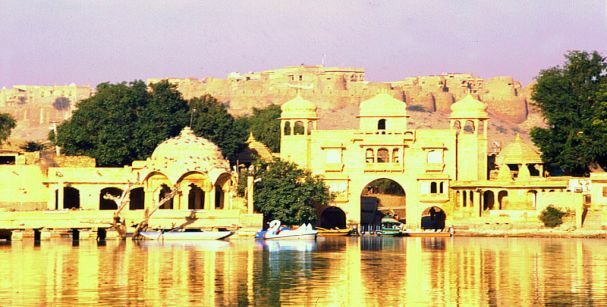 With a museum exhibiting the historical significance of the place, the Jaisalmer Fort makes it as the top tourist attraction. Experience a three-hour heritage walking tour of the fort, with restaurants to dine in, with handicraft stores to shop from, and with temples to pay a visit to. A visit to Jaisalmer is incomplete without a camel ride. 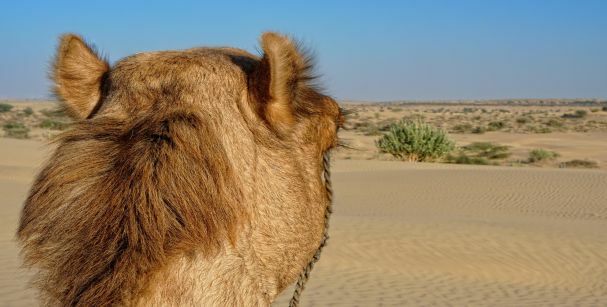 Ride on the back of a camel by booking a camel safari tour, for a day and witness the rural side of Jaisalmer, away from the bustling city. Let the ship of the desert be your host for the day and ride you to the desert to let you explore the rustic beauty of the city. 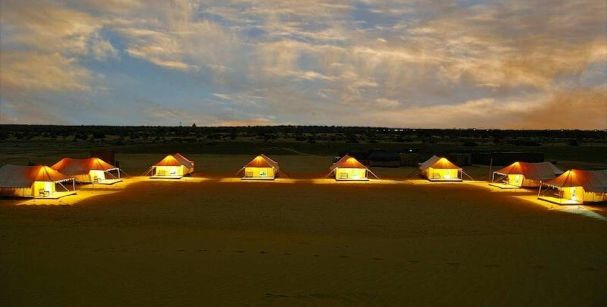 Situated on the western side of Jaisalmer, the Sam sand dunes are a major tourist attraction. Savor the taste of some of the best Rajasthani delicacies as you witness the traditional folklore of the place. Enjoy the orange hues scattered by the sun at dusk while on a camel ride, followed by a sumptuous dinner under the stars. Indulge in some dune bashing! 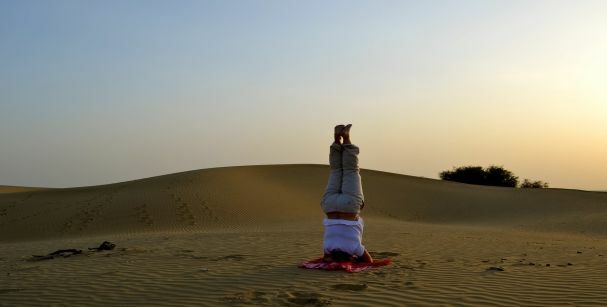 Rejoice adventure lovers as Jaisalmer has something to excite you with! 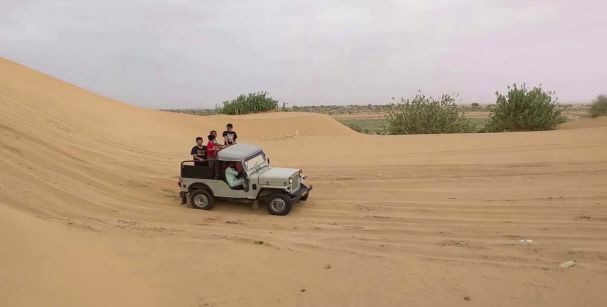 Ride across the huge sand dunes of Jaisalmer in a sixety-minute ride to the Sam Sand dunes. Experience the adrenaline rush as you rise and fall with the vehicle on the thrilling ride. Book an SUV enjoy thrill and adventure like never before. 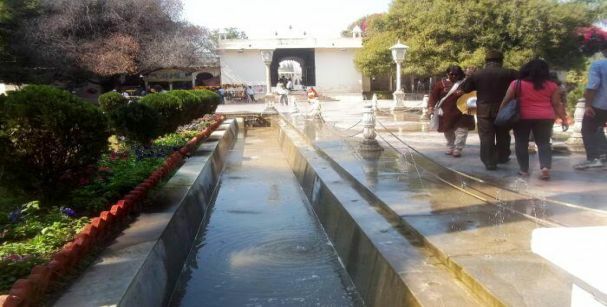 Built in the 14th century, this artificial reservoir is the place that invites the tranquil souls. 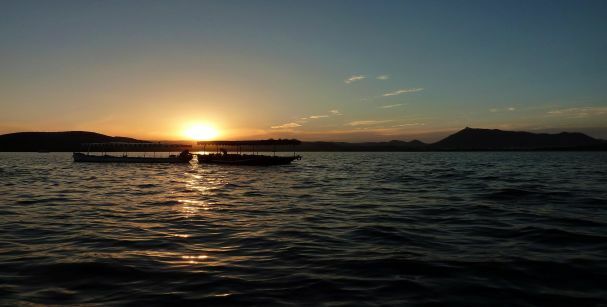 Hire a boat and ride through the lake, surrounded by beautiful temples and shrines. Be friends with the migratory birds that add to the beauty of the place. 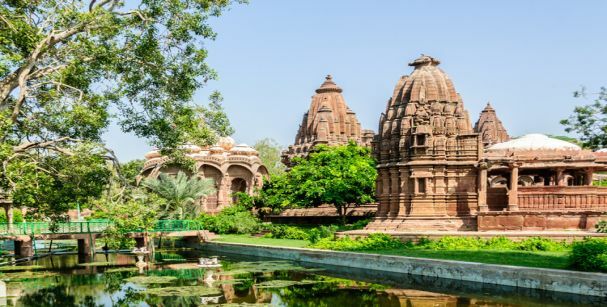 Dating back to the 15th and the 16th centuries, the Jain temples are a series of seven temples that are interconnected. With intricate detailing, these magnificent structures are a major tourist attraction, exhibiting faith in the purest form. So pay a visit to these magnificent structures and be a part of the positivity that the temples entail. Rooftop restaurants are a great way to close your day, with some delectable food stretched across Indian, continental and Korean cuisine. With a stunning view of the sunset and a comfortable setting, these rooftop restaurants are every traveler’s delight. Enjoy delicious food and live music at some of the best rooftop cafes, like The Trio, Café the Kaku, Wyra Rooftop Restaurant and Home Fusion. 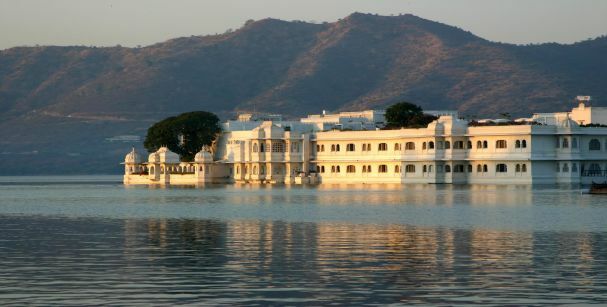 With full Rajasthan tour packages, we promise you that you’re in for a classic expedition and a wonderful experience. 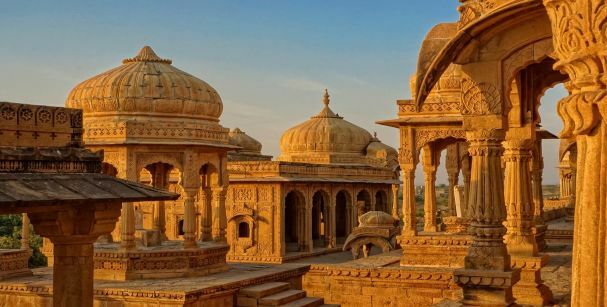 Rajasthan is a classic blend of heritage, culture, art, and history, which is all interconnected, and hence fascinating. 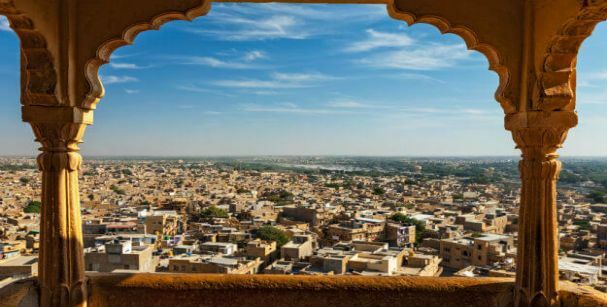 With so much to do and so much to experience, that very Rajasthan trip for 5 days is sure to leave you mesmerized and make you wish that you had more time to explore the place.